 Disruption is rippling through the global economy, and the pace of change is accelerating. To take one example, when the human genome was first sequenced in 2000, it took 13 years and cost $3 billion. Now, sequencing can be done in one day for $1,000. Such dramatic change is being felt across industries and geographies, and potentially shaping the long-term performance of investors’ portfolios. old world vs. new economies and industries. Together, these drivers could have a dramatic impact on companies – and their stocks – in the years ahead. What does that mean for investors, and how can Janus Henderson provide solutions? Read on. 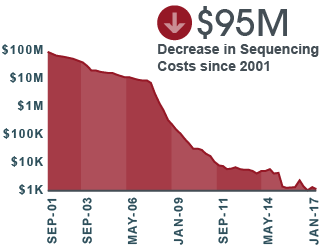 Genetics-based research has accelerated, driven by a dramatic fall in sequencing costs. This has led to the creation of advanced treatment disciplines, such as immuno-oncology, gene therapy and, potentially, personalized vaccines. 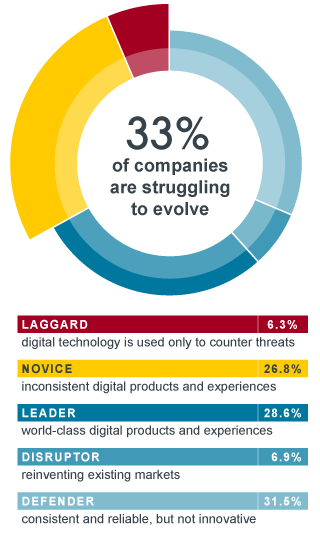 Companies globally are investing heavily to keep up with the digital economy. 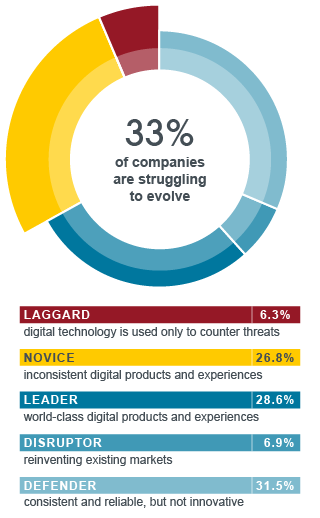 Source: IDC, "Digital Transformation (DX): Understanding the Business Case - Market Spend & Trend Outlook," June 2018. Leading technology companies are building large networks of data and users, providing these firms with sizable competitive advantages and strong earnings growth potential. New and transformative technologies, such as artificial intelligence, the Internet of Things and cloud computing, have become pervasive, impacting business models across industries and regions. Rising living standards in emerging economies are helping drive demand for these new tools and services. So, too, is the coming of age of “digital natives,” and a growing and aging global population. Tech stocks have soared in recent years. But the performance is backed by impressive earnings growth, highlighting the durability of today's transformation. Source: Bloomberg. Data are for rolling, quarter-end periods through 6/29/18. Technology is penetrating every part of the global economy, led by what we think are a number of powerful and investable trends: cloud computing, mobility, the Internet of Things and artificial intelligence. Health care companies are increasingly focused on developing therapies to meet unmet medical needs and improving efficiencies. Such trends are transforming lives and creating sound investment opportunities. As China and other ‘new world’ markets advance, they have become leading adopters of technology. At the same time, many ‘old world’ industries are using technology to improve efficiencies and fend off disruption. A time of accelerating change can be unsettling for investors and make it harder to achieve financial goals. Janus Henderson’s expert investment teams can help offer solutions. This Fund leverages our differentiated fundamental research to invest, with conviction, in the large-cap companies driving innovation as well as compounding-growth companies we believe are insulated from disruption. Using a unique approach, this Fund is managed by a team who understands the science and business of health care, seeking to capitalize on companies developing innovative therapies addressing unmet medical needs or making health care more efficient. Is Your Portfolio Ready for Disruption? According to one estimate, one-third of companies are struggling to evolve with today’s technological innovation, making it all the more important to create an investment portfolio that stands on the right side of disruption. Source: IDC Digital Transformation Benchmark Survey, May 2017. Note: Based on 1,841 organizations with 1,000+ employees worldwide. This Fund seeks to invest in growth companies driving innovation or benefiting from advances in technology. We invest in companies that we believe are resilient as well as companies that have optionality ‐ meaning large potential upside in certain scenarios. 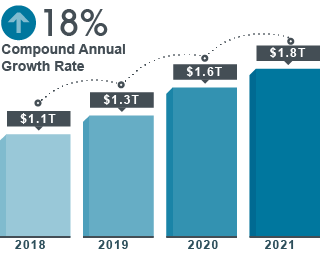 This dynamic asset allocation strategy delivers our equity and fixed income expertise in a core solution, with holdings that consist of what we believe are innovative companies as well as firms that we think are resilient to disruption. This Fund seeks to invest in growth companies driving innovation or benefiting from advances in technology. We invest in companies that we believe are resilient as well as companies that have optionality – meaning large potential upside in certain scenarios. Receive updates on harnessing the power of disruption. For more information on how to harness the power of disruption in your portfolio please call 800.668.0434. Emerging market investments have historically been subject to significant gains and/or losses. As such, returns may be subject to volatility. The health care industries are subject to government regulation and reimbursement rates, as well as government approval of products and services, which could have a significant effect on price and availability, and can be significantly affected by rapid obsolescence and patent expirations. Technology industries can be significantly affected by obsolescence of existing technology, short product cycles, falling prices and profits, competition from new market entrants, and general economic conditions. A concentrated investment in a single industry could be more volatile than the performance of less concentrated investments and the market as a whole. Investments focused on a single sector, country or region are subject to increased volatility because such investments may react similarly to market developments and a significant portion of assets may be invested in a small number of issuers. The Morningstar RatingTM for funds, or "star rating", is calculated for funds with at least a three-year history. Exchange-traded funds and open-ended mutual funds are considered a single population for comparative purposes. It is calculated based on a Morningstar Risk-Adjusted Return measure that accounts for variation in a fund's monthly excess performance, placing more emphasis on downward variations and rewarding consistent performance. The Morningstar Rating does not include any adjustment for sales loads. The top 10% of funds in each category receive 5 stars, the next 22.5% receive 4 stars, the next 35% receive 3 stars, the next 22.5% receive 2 stars, and the bottom 10% receive 1 star. The Overall Morningstar Rating for a fund is derived from a weighted average of the performance figures associated with its three-, five-, and 10-year (if applicable) Morningstar Rating metrics. Ratings may vary by share class. © 2018 Morningstar, Inc. All Rights Reserved. The information contained herein: (1) is proprietary to Morningstar and its content providers; (2) may not be copied or distributed; and (3) is not warranted to be accurate, complete or timely. Neither Morningstar nor its content providers are responsible for any damages or losses arising from any use of this information. As of , Forty Fund Class I Shares Morningstar RatingsTM in the category: stars out of funds, stars out of funds and stars out of funds, for the 3-, 5-, and 10-year periods, respectively. As of , Global Technology Fund Class I Shares Morningstar RatingsTM in the category: stars out of funds, stars out of funds and stars out of funds, for the 3-, 5-, and 10-year periods, respectively.  As of , Global Life Sciences Fund Class I Shares Morningstar RatingsTM in the category: stars out of funds, stars out of funds and stars out of funds, for the 3-, 5-, and 10-year periods, respectively. As of , Balanced Fund Class I Shares Morningstar RatingsTM in the category: stars out of funds, stars out of funds and stars out of funds, for the 3-, 5-, and 10-year periods, respectively.